I'm joining a group of other ladies in a Virtual Curriculum Fair! This week's topic is Exploring Our World: Social Studies and More Science. Like last week, there are so many things I could talk about here. My working title for this post for the longest time was "Social Studies isn't a four-letter word" but somehow that never gelled. For some reason, this seems to be "the year of Social Studies" in our homeschool, though, so I am going to talk a bit about what my kids (from 2nd through 11th grade) are doing. The little two are the easiest. 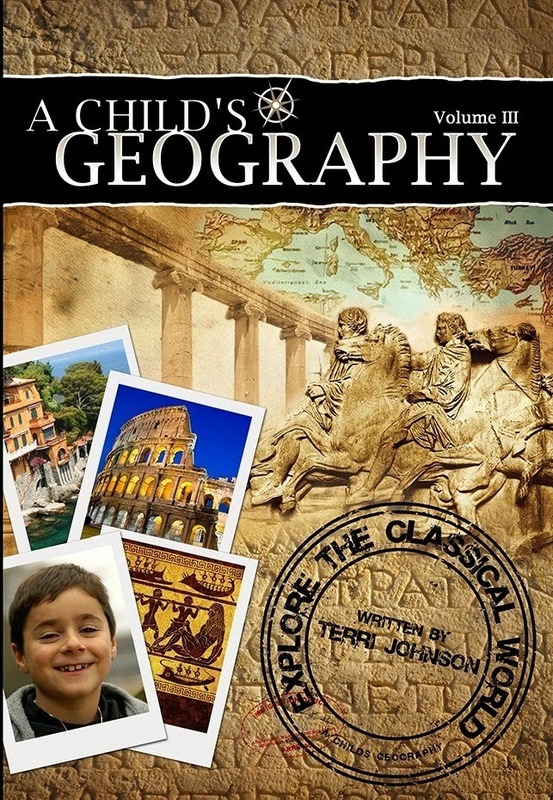 We are using A Child's Geography, Volume 3: Explore the Classical World. We started using this to go along with Philosophy Adventure, that the big kids were doing last summer. What I love about A Child's Geography is the gorgeous photos, the easy-to-follow text, and we never feel like there is too much information to slog through. We add in a couple extra activities, but it never feels like it is taking over our homeschooling life. We've used history programs that do take over our lives. So this year, it is refreshing to be doing a geography/history program instead. And it is so pretty. My bigger guys are doing history in a totally different way than ever before too. All three are using some online videos, supplemented with various things, and are able to be pretty independent. William and Thomas are doing Western Civilization, and Connor is doing US History. Do I love it? Not really. But it meets a need in our lives, and the kids have had so much history from so many points of view, that this is working for us. And we are adding some other materials, mostly historical fiction and biography. Now this is the "social studies isn't a four-letter word" part. I know that in some homeschool circles, there is this attitude that the very term "social studies" is just horrid. "What's wrong with just calling it history?" is what I've often heard. And based on the above courses my children are taking, I'd tend to agree. Richard and Trina are doing more geography than history, but honestly, I could call it either one. The thing is, though, "history" and "social studies" were never meant to be synonyms. History is ONE part of "social studies" and my kids are doing oh-so-very-much-more this year. Economics: We'll be finishing up Simply Put, a 1/2-credit economics course, shortly. 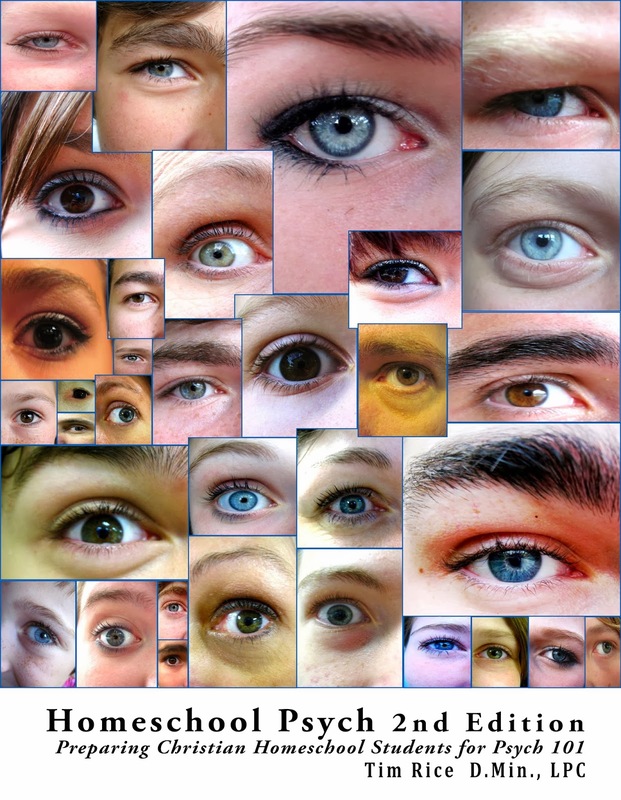 This program is amazing, wonderful, and every high school student ought to work through it. I reviewed it a couple of months ago, and I said mostly amazing things about it then. I think even more of it now. 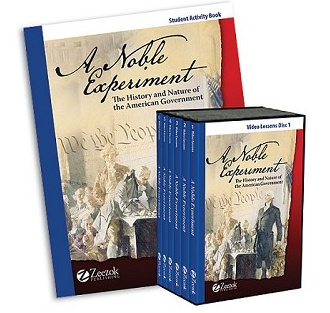 Government: The two high school students are working on a 1/2-credit Government course from Zeezok, called A Noble Experiment: The History and Nature of the American Government. I'm very impressed with this course. My kids find the combination of Economics and Government to be a really good one. Connections are constantly being made, as some of the same points are being taught. Great course. This is another course where I really appreciate that it doesn't "take over" our entire life. The kids watch video for about half of the lessons, they read source documents, fill out some worksheets, etc. The amazing part, though, is that they are actually learning something about Government. That's more than I can say about my high school government course. Psychology: Connor is just starting Homeschool Psychology. Too early, really, to say much of anything about it, except that I loved the amount of sample material available on the website. I took a lot of psychology in college, and this is a subject that can be really wacky depending on the worldview of the instructor. I feel safe with this course, and from what little I've seen so far, it is thorough. I want Connor to take the CLEP exam for psychology, so he will not have to take Psy101 in college. So, right now, my high school junior has 2.5 to 3.5 credits of social studies this year. My freshman has 2 credits. The 7th grader is tagging along on most of it too. And my little guys are doing a combination of geography and history. Of course, one child is campaigning for me to include a high school level archaeology course soon too, so we could get even more diverse before the year is out. We are having a VERY Social-Studies-heavy year. If you want to link up, you can do that too! A Child's Geography is new to me and I have seen it around. The pictures I have seen do look amazing and intriguing. I will have to check this one out a little more. I know a couple others use this curriculum as well. No kidding, Michele! I'm involved with the little two. And I'm involved with Economics (but that is just FUN! and only a couple days a week, and most of the discussion time happens in the car). I will be involved in Psychology too. Stacie - it is a gorgeous book, and great info too. I'm loving it. One thing I'm finding is that I just can't repeat the same things with my little two. I get too bored. I enjoy parts of it, but mostly, I just need it to be different enough to keep my interest. I'm way more tired this time through early elementary school. !!! We loved using A Child's Geography last yr in our homeschool. Thanks for sharing your curriculum..